Topics: Call Centers, Telemarketing Script Management, Do Not Call, Appointment Reminder, Debt Collection, and Survey Auto Dialer. Age: It went live on July 5th 1999, making it over 18 years, 9 months old. 304 users visit the site each day, each viewing 1.90 pages. 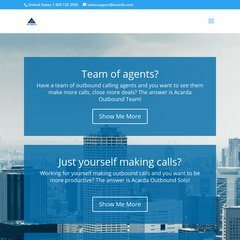 newclientsinc.com | New Clients, Inc. There are 3 Nameservers, ns3.dreamhost.com, ns1.dreamhost.com, and ns2.dreamhost.com. It is hosted by New Dream Network Llc (California, Brea,) using Apache web server. Acarda.com's server IP number is 173.236.196.217. PING www. (173.236.196.217) 56(84) bytes of data. The server is slower than 56% of measured websites, at 1765 milliseconds. Also a time of 41.2 ms, is recorded in a ping test.